Why should I get my eyebrows shaped? 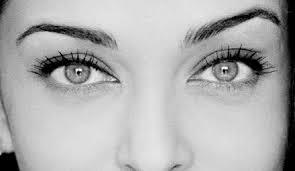 Studies show that a person’s eyes are the most liked facial feature and you’ve heard the saying- “…the eyes are the windows to the soul”. So investing some care in shaping your eyebrows can do a lot for your eyes’ appearance. Simply by removing the stray hair in between the brows and around the natural shape of your brows, your eyes can look bigger, more defined and your face can seem more open and less cluttered. In a professional sense, you will look more well-groomed and taken care of and people might even take you more seriously. How do beauty therapists do it? Your therapist will assess the state your brows and your personal, natural shape of your brows and ask about your preferences. The excess hair will then be removed with wax and a wax strip. This could be somewhat painful at first but rest assured that it is very quick and temporary discomfort- lasting only a few seconds. For those with sensitive skin, the skin where the hair has been waxed off could be a bit tender and pink for an hour or so but can also be aided by applying our Annique Resque Crème for instant relief. Once the most of the hair has been removed, your therapist will take tweezers and pluck out any missed hair and just to define and neaten your brows to its final glorious prettiness. The whole procedure to wax your eyebrows will take 15minutes. If you have very light eyebrows or you have made your hair darker than its natural colour, it is a very good idea to tint your eyebrows a little darker. This will greatly enhance and define your facial features and will make your eyes stand out more. The procedure is completely safe, non-messy and quick. Your therapist will clean your brows to rid it from make-up and other impurities and apply a tiny amount of tint (something similar to hair dye but not as harsh) with a small brush. A couple of seconds later, it will simply be wiped off when you have reached your desired darkness. You can also tint your eyelashes if you wish, which will also greatly make your eyes stand out and you don’t have to apply as much mascara. Getting your eyebrows shaped and/or tinted will save you the time of ‘colouring-in’ your brows or applying mascara. It will also not smudge off on a hot day and isn’t permanent. You can get your brows shaped and tinted as well as have your eye lashes tinted all at once, as well as have any other waxing done in your appointment. When can I come in? Simply give us a call or send us an email to book your appointment and tell us what you would like to have done. We will assist you at a time that is convenient for you with the space that is available on the day that you request to be here. To kick the year off with all new beginnings, we have a great special offer this month where you will get a FREE Brow Wax & Tint (valued at R100) when you book any facial treatment with us!